Export from UK and Exporting goods from the UK would involve international transportation of goods, which is an area of expertise of freight forwarder. Whether the goods are being exported out to within the EU or outside, Milky Way Logistics Ltd could provide professional consultation about Export from UK and planning for each and every part of the route until the goods are cleared and moved out from the UK. The service that is covered by a logistics service provider, for export of goods from the UK, is very much dependent on the commercial term of corresponding contracts with buyers. Export from UK might be subject to required licensing or special regulations or restriction. For strategic goods that require license for being exported from the UK, the Export Control Organisation, issues the required license. Depending on the contract, for export from the UK, freight forwarding company can arrange planning of the international transportation, custom clearance, VAT and licenses (if required any). 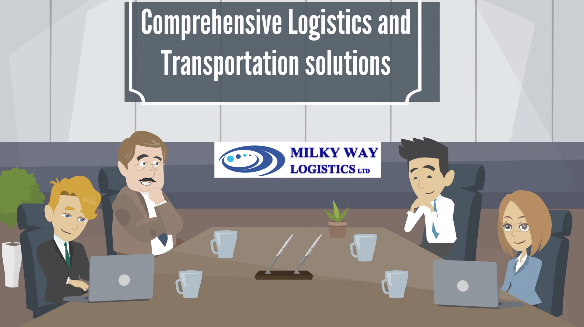 Milky Way Logistics Ltd, as a professional fast growing logistics provider company, plans any export from UK and designs the best and most feasible route for the transportation and delivery and insurance (if required any). Planning of the international transport for goods being exported from UK is dependent on the quantity, packaging, dimension, nature and value of goods. There are various frontiers in the UK through which export of goods from the UK could be arrange, among which the most popular is the major airports of the country for the goods being air freighted out of the country and major sea ports for those cargoes being exported via oceans. For the buyers who contract under Ex Work term of trade, the best is to have a professional logistics service provider who knows the procedures and plans the freight efficiently.